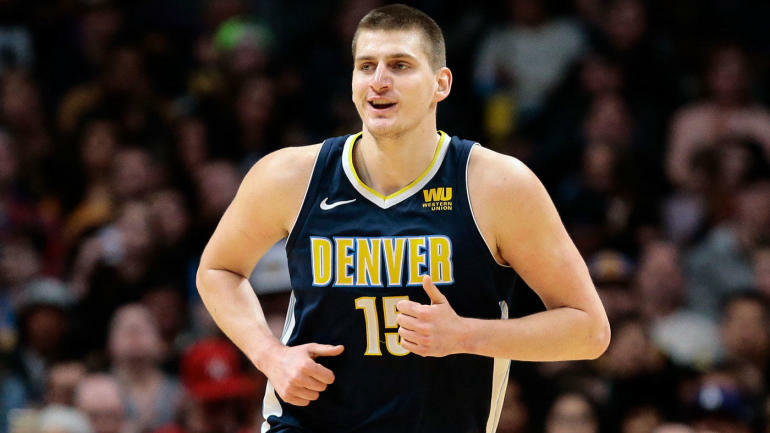 Nikola Jokic and the Denver Nuggets host LaMarcus Aldridge and the San Antonio Spurs on Saturday in their first game of the 2019 NBA Playoffs, with tipoff from the Pepsi Center set for 10:30 p.m. ET. Denver just capped off its best season since 2012-13, finishing as the No. 2-seed in the Western Conference and improving on last year’s record by eight games. The Spurs finished with a respectable 48-34 record, which was only enough to get them the 7-seed in the highly competitive Western Conference. Both teams enter the 2019 NBA playoffs healthy. Denver is listed as a 5.5-point home favorite, while the over-under for total points is 211 in the latest Nuggets vs. Spurs odds. Before you make any Spurs vs. Nuggets picks and NBA predictions, you’ll want to see what SportsLine’s advanced computer model has to say. Now it has locked in on Nuggets vs. Spurs. We can tell you it’s leaning over, and it also says one side of the spread hits in over 60 percent of simulations. You can only see that pick at SportsLine. The model is well aware of how much of an advantage Denver has at home. The Nuggets boast the best home record in the NBA at 34-7, while San Antonio struggled to the tune of a 16-25 road record this season. The Nuggets ranked second with a 61 percent home cover rate, and they beat this same San Antonio team by 28 in Denver just two weeks ago. Jamal Murray was impressive in that game, posting a 14-point, 11-assist double-double. He averaged 20 points on 41 percent shooting from three in four games against San Antonio this season. Murray has also averaged nearly two more points per game at home this year, while improving his field goal percentage from 40 percent on the road to 48 percent at home. He could be in store for an eye-popping game against San Antonio’s 19th-ranked defense.